Praline candy is hard to describe, but fortunately, it's easy to make! This classic Southern candy typically has brown sugar, butter, and plenty of pecan nuts. It's a study in contrasts: crumbly but creamy, nutty but smooth, and utterly irresistible! This collection of praline recipes has something for everyone: classic recipes and New Orleans-style favorites, as well as fun variations like orange pralines, chocolate pralines, and even bacon pralines! 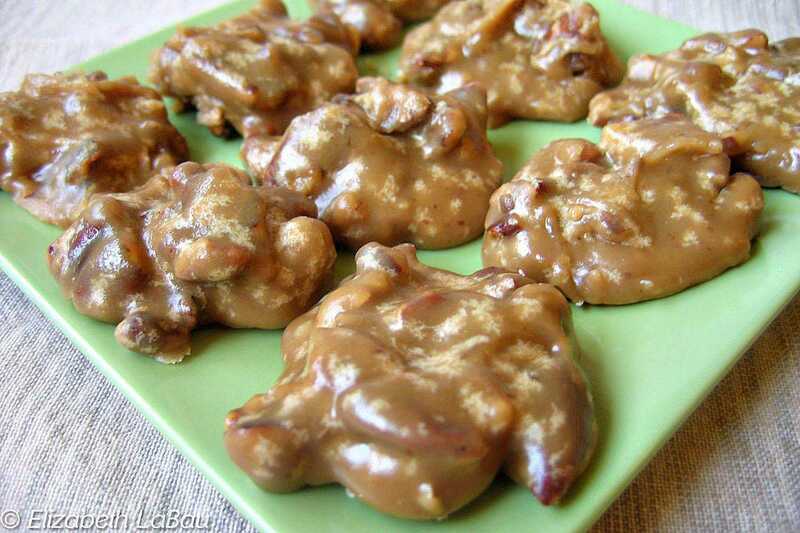 These classic pralines have just four ingredients: Brown sugar, cream, and pecans. The crumbly, rich pecans that result are a Southern classic. Pralines are a New Orleans institution! This praline recipe produces sweet, slightly crumbly brown sugar candies loaded with toasted pecans. Pudding Pralines have an unusual ingredient—vanilla pudding mix! The vanilla pudding gives these pecan candies a smooth, subtle vanilla taste and a slightly softer texture. Chocolate pralines combine the crumbly, nutty taste of classic pralines with rich semi-sweet chocolate. The chocolate is both incorporated in the candy and also drizzled on top for a double dose of sweetness.